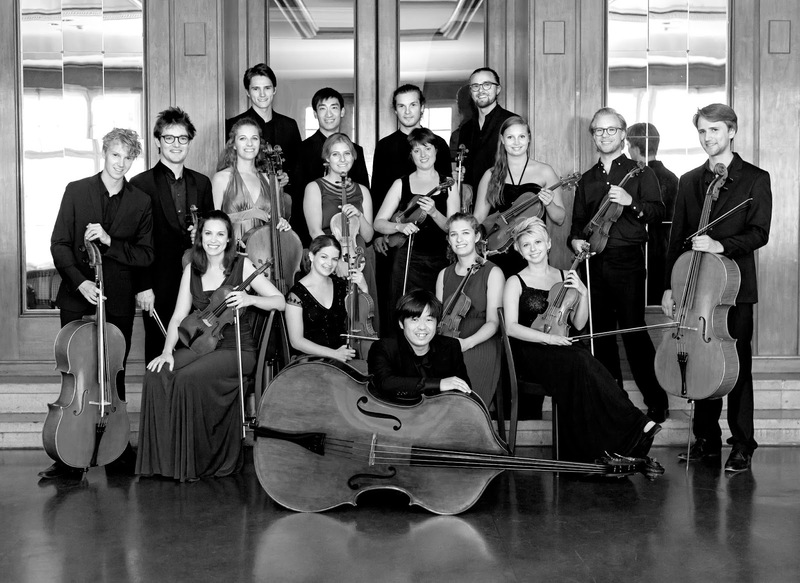 Violinist Hugo Ticciati is very much associated with O/Modernt the festival in Sweden of which he is artistic director. But there are plenty of opportunities to hear him in the UK as he is artist-in-residence this year at Kings Place as part of its Time Unwrapped series, and Hugo and O/Modernt also have a residency at the Wigmore Hall in April, whilst a new CD is forthcoming too. 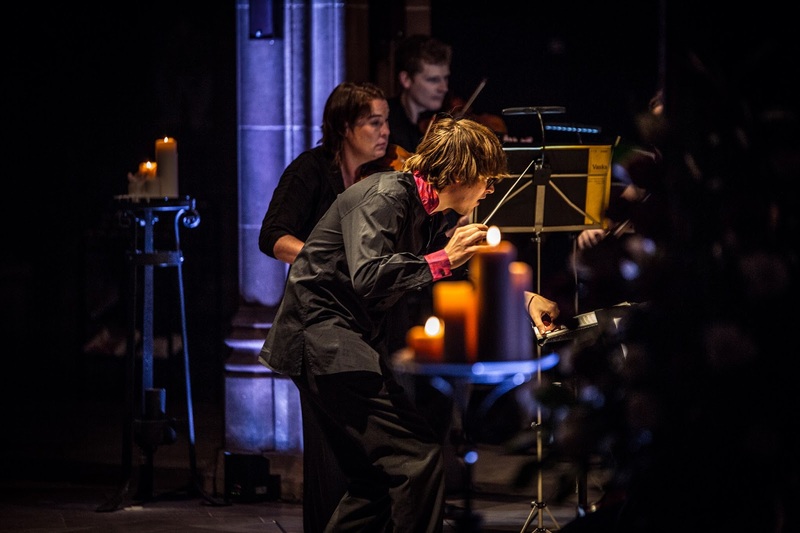 Hugo and O/Modernt are known for their innovative programmes, combining old and new often with improvisation and imagination. Hugo was recently in the UK for his latest concert at Kings Place and we met up to find out more. In 2011 Hugo was asked to create a festival in the beautiful Rococo theatre of Confidencen at Ulrikdals Castle, 15 kilometres from Stockholm. This combined Hugo's love of contemporary music with a love of the past. The festival's title O/Modernt (Un-Modern) reflects this. He dislikes the modern tendency to pigeon-hole, and likes to relate different musics, all music is an expression and different styles complement each other. And it is this link with O/Modernt which has infused much of Hugo's performance. Whilst Hugo has developed and refined ideas since, the concept seems to have sprung fully formed, Hugo launched himself into the first festival and the name O/Modernt was something he came up straight away. His approach was very much reflected his 2016 concert at Kings Place which combined music by Vivaldi with music by Metallica. 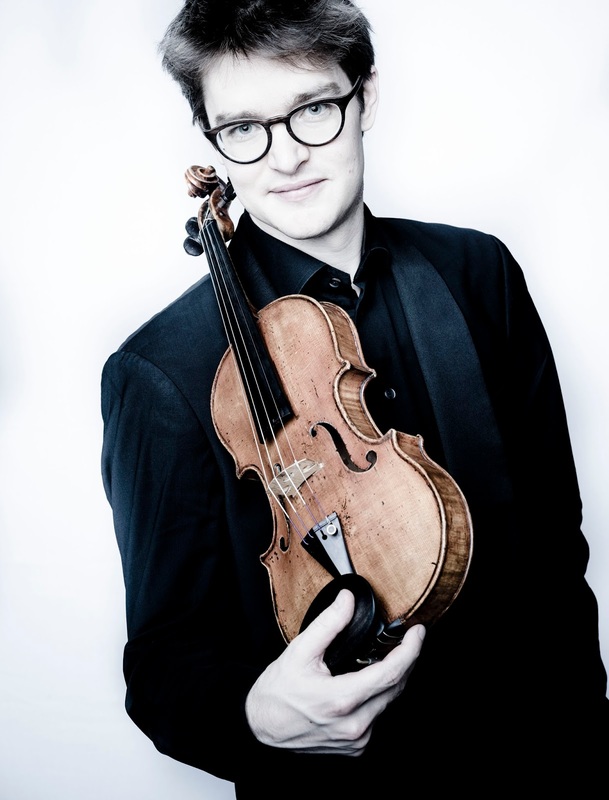 Hugo feels that we have become acclimatised to the music of the past, and his intention in the programme was to help modern audiences hear Vivaldi in the way Vivaldi's contemporaries did, as vivid, driving and exciting, as the rock music of the period. The idea is to challenge people, to enable them to hear music that they know in a different context. For Hugo, we always hear the past through the ears of the present and so we need encouraging to listen in different ways. He was lecturing in Sweden when a student, after listening to some Mozart, commented that Mozart got that from Puccini. Hugo's response was to agree, as we cannot help but hear Mozart through modern ears, filtered via Puccini and lots else besides; old music is always filtered through history. So his concerts aim to get people out of their comfort zone, to experience the familiar in a new way. 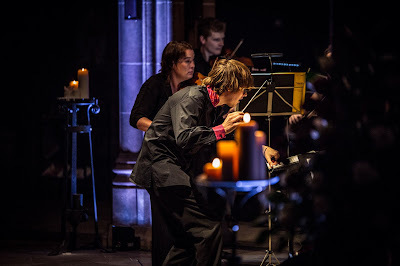 Whether presenting a concert or a CD, Hugo is keen to take listeners on a journey so that concerts are carefully choreographed with lighting, and flow from piece to piece without interruption, taking people from old to new to improvisation and back, leading them. All this, of course, is an experiment, and whilst it is fun it is risky and not all the experiments succeed, but Hugo feels that they need to challenge themselves as artists as much as challenging the audience. This sense of a journey is reflected in the residency at the Wigmore Hall, Purcell: From the Ground Up. This starts from a performance of Purcell's Dido and Aeneas (performed by La Nuova Musica), then Hugo and O/Modernt take a programme which moves from Dido's Lament to other ideas based on the ground, on laments and on the use of the interval of a fourth which features in the Purcell. Hugo is aware that this sounds an abstract way of constructing a programme but he feels that it is a way of linking lots of genres. So there is a concert with Purcell, Rameau, Monteverdi, Berg and Richard Strauss, and then ground-basses looped and re-interpreted and combined with a rap poet re-interpreting Shakespeare. The intention is to be holistic, with genres complementing one another but Hugo is aware of the danger of being over eclectic so that the particular quality of each strand is lost. But he feels that if you are careful and use top-quality artists who are informed and open-minded then the results can pay dividends. A dry concept can develop into a vibrant programme, though he admits that it is not everyone's style of programming, he finds it exciting and challenging. Hugo's interests stretch beyond the linking of the music of the past and present and combining different styles, philosophy plays a big role too. In the new CD White Light (on Signum Classics), it is the meditative Indian philosophies which inspire the programme on the disc which combines music by Arvo Pärt, Pēteris Vasks and John Tavener with sarod improvisations from Soumik Datta. Philosophy is highly important to Hugo, he sees all art and culture as connected and so referencing philosophy is very relevant, and music can be a way of teaching us how to be and how to live. He comments that for the Greeks, a musician was a someone who was a cultured, responsible member of society. So for musicians today the task is to be more than just entertainment, to develop both themselves and the audience. And he mentions the philosopher Henri Bergson whose work is quoted in the CD booklet, using melody as an exemplar of how to live. Having spent hours talking about different philosophies, Hugo hopes some of these ideas are reflected in the music on the CD. One strand is the sense of non-duality, the way we experience the now, derived from Indian philosophy. And Hugo refers to the Beatles' song Within you, without you which is included on the disc, and which explores this non-duality, the sense of music being both inward and outward. One thing that did intrigue me was, in terms of programming, where Hugo Ticciati stops and O/Modernt starts. He admits that increasingly they are getting close to being one and the same, partly because Hugo's own performances are all increasingly underpinned by an O/Modernt philosophy, and O/Modernt has much to do with Hugo's journey in music. It is rare for him to do a programme without an O/Modernt element, and when he works with other groups he will often do O/Modernt style programming. 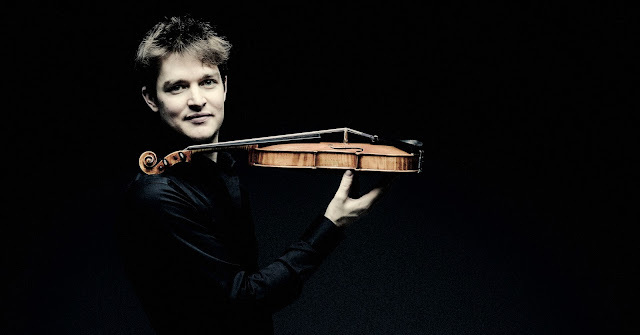 He was recently performing with Manchester Camerata with an O/Modernt-inspired programme, and similarly with his residency at Kings Place. All these events mix musical styles and eras, use careful choreographing of the programme and improvisation. Improvisation is important to Hugo, his programmes often use it to link diverse items, and on the new CD, we have the intriguing combination of Soumik Datta improvising on the sarod over John Tavener, an idea which only came up during the recording sessions. Improvisation gives Hugo the freedom to experiment and to try things, he sees it as helping the artist to open up and also encouraging to audiences who can find perfect works of art a little distancing so that in an improvisation they enjoy the imperfections and see the artist's vulnerabilities. He has always improvised, but the first time he did it in public was when giving a concert in Japan when he was 20 and he suddenly decided to open the second half with an improvisation. 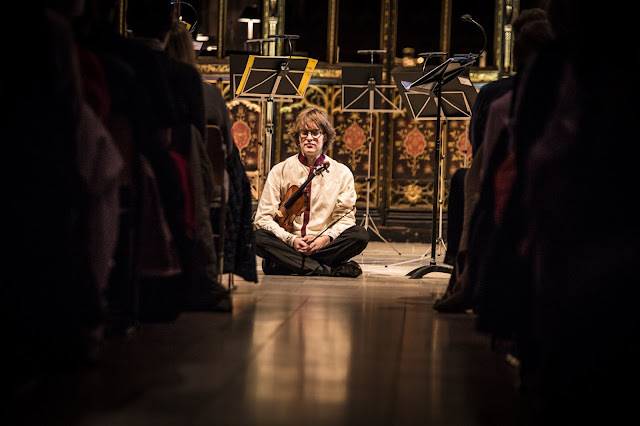 It was a programme which explored the whole spectrum of violin sound from 17th solo repertoire to John Cage's 4′33″, and the idea of improvisation seemed to fit in very well. He finds improvising very liberating, and it inflects everything he plays, and the sense that you are creating the music in the moment helps when playing things like unaccompanied Bach, the two feed off each other. Hugo is wary of calling himself a revolutionary, but he does feel that classical music is stagnating. He recognises that tradition is important and enriching, but it can be stultifying too and it is enriching to step outside it. Our current concert-hall traditions were born with Beethoven, and we are not living that way anymore so we need to re-invent the tradition. Many traditions are just empty shells, and we need to imbue them with new essence by going back to the root, considering why the traditions are there and see that they lead to. For Hugo tradition music live, it cannot simply be an artefact. He refers to Bergson again, with the idea that each time we do something we re-invent it, re-create it anew. And we all, audience, promoters, performers, need to encourage each other to do this with tradition. Audience reaction has been overwhelmingly positive (though Hugo is realist enough to comment that he probably gets mainly the positive reactions!). After a performance of Handel's Messiah which combined work from a rap artist with commentary about modern-day Syria, he had many comments from audience members about how they had come to see Messiah in a new way. But this approach does require audiences to be open-minded so a traditional mindset can be upset, but Hugo finds it wonderful that audience members might be led on a journey. The O/Modernt philosophy is not the only way, but it is the one that Hugo is passionate about. He wants to avoid habit, and whilst we live by habit he wants the musical experiences to be unique each evening. Music and culture do not survive by habit, we need to challenge ingrained habits, and must always be ready to face the reaction, 'you can't do this'. Hugo sees music history as being full of challenges between those interested in new things and those interested in tradition, and he hopes to bridge the gap. Hugo started playing the piano at the age of five, and when he was six he heard the violin and decided that that was for him. He never went to college or university, he was always on his own, practising, thinking and meditating. He is now based in Sweden, and there the solitude is magnified, and silence has informed a lot of what he does. Silence is what he returns to, and informs his ideas. He had been offered a place to study musicology at Cambridge, and went to Canada playing but had to stop because of problems, he was in pain. A friend new the Russian violinist, Nina Balabina, and he had a short trial lesson with her and immediately knew he wanted to study with her. Instead of going to Cambridge he went to study with Nina Balabina in Sweden. She started him just on studies and scales, he embraced the process without knowing where it would lead, just practising. Intensity, isolation and practice were important for him, and he simply grew there; he came to love Sweden and still does. Not surprisingly, his desert island work would be John Cage's Silence 4′33″, as this starts and ends with silence and embraces all musics. Full details of Hugo's forthcoming concerts from his website.